PORT-AU-PRINCE, Haiti (AP) — Haiti is overhauling its adoption laws for the first time in nearly 40 years in an attempt to end practices that have allowed thousands of children to be trafficked out of the country or suffer from neglect as they languish in squalid orphanages. 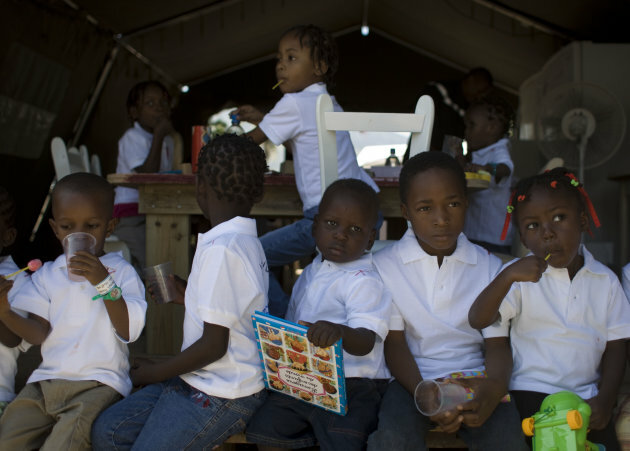 The proposed legislation is meant to bring Haiti in line with international laws that seek to protect children under consideration for overseas adoptions, said Arielle Jeanty Villedrouin, general director of the government's social welfare agency. The legislation has gone before the Senate for review and awaits approval from both houses of Parliament. The proposal includes a requirement that both biological parents give informed consent for adoptions. It also establishes Villedrouin's office as the "central authority" for all overseas adoptions, which is a requirement of the Hague Adoption Convention, and prohibits adoptions that aren't authorized by the government. "A parent who wants to adopt a child can't just go to a website and say, 'This is a child I want.' The children aren't merchandise or cars," Villedrouin said in an interview. Other reforms hope to help the child land in a stable home, including requirements that couples adopting a child must be married for five years, with one spouse at least 30 years old. A single person filing for adoption must be at least 35. Adoptions will also only be permitted once all other forms of support for the child have been exhausted. Ann Linnarsson, a Haiti-based child protection specialist with the UN children's agency UNICEF, welcomed the proposed changes. "It will mean that the child being adopted needs a new family and that you will know this child has been screened," Linnarsson said. "There will be some accountability. ... The adopting parents will know that their child has not been trafficked or stolen." The need for new legislation is acute in Haiti, where an estimated 50,000 children live in orphanages in part because many parents give up their children because they can't afford to take care of them. Many orphanages are poorly run and have little oversight. U.S. missionaries managed to get the government to close one home last year in Carrefour, one of the cities that make up the Haitian capital region, after they noted that several children disappeared and the operators didn't offer credible explanations for what happened. It's not entirely known how many Haitian children are trafficked into neighboring Dominican Republic or elsewhere. But UNICEF recently estimated that at least 2,000 children were smuggled across the border in 2009. The changes were welcome news to Shasta Grimes and her husband, who have been waiting for more than two years to adopt a Haitian boy who's 5 years old. "The laws they've had — they've been up to interpretation," the 32-year-old woman said by phone from her home in Arcadia, Florida. "It's been really difficult for anyone to know what the standard is or the correct procedure is. With legislation in place it's going to really set in place an international standard." The vulnerability of Haiti's children was dramatized in the weeks after the January 2010 earthquake when Baptist missionaries from Idaho tried to take 33 children they believed were orphans to the Dominican Republic. Police arrested the Americans for lacking the proper documents to take the kids, all of whom turned out had living parents and had been voluntarily turned over to the missionaries. Even if the new legislation passes, enforcement may prove tricky. Officials have long complained that child welfare workers lack the resources and training to investigate allegations of criminal behavior. Over the past year, Villedrouin said, the government has closed 26 orphanages for operating in substandard conditions. She said under the new law, more "sanctions will be taken." Absent from the legislation is any reference to Haiti's informal internal adoption system, in which parents hand over their children to other families to clean homes and do other chores in exchange for money or school tuition. Between 250,000 and 500,000 children in Haiti are forced to work as domestic servants known as "restaveks," Haitian Creole for "stay with," according to the International Organization for Migration. The government has created a "restavek" hotline for people to call and report cases of abuse, Villedrouin said.